LiveCode LessonsLiveCode LessonsHow To - Step-By-Step Guides To Tasks In LiveCode LiveCode tipsHow do I Locate Scripts or Custom Properties in my Project? This lesson shows you how to identify entities in a project that have scripts or objects with custom properties attached to them. The process described here can be applied to any LiveCode stack. 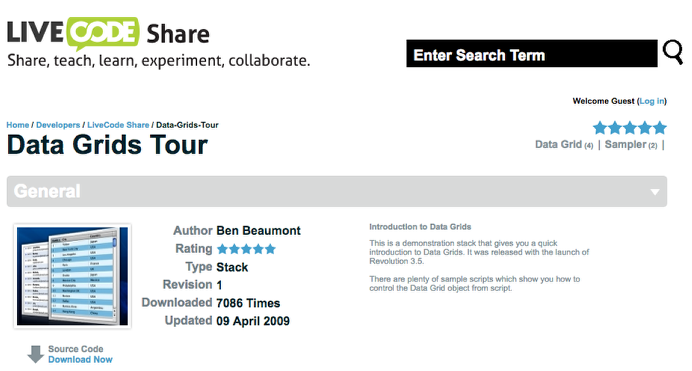 For this example we use the top rated LiveCode stack Data Grids Tour. 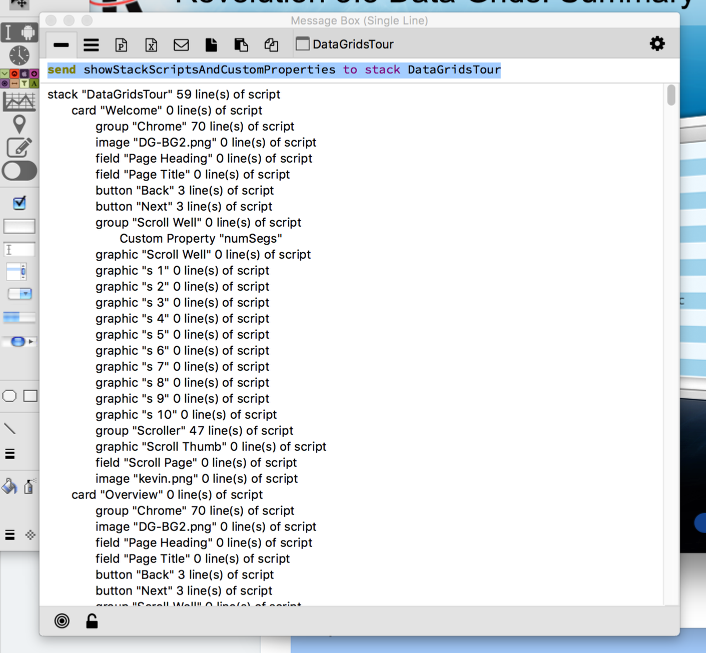 This stack is sufficiently large to demonstrate the generic nature of the code in this lesson. You can download the sample stack from this url: https://tinyurl.com/ya7ap3bl. 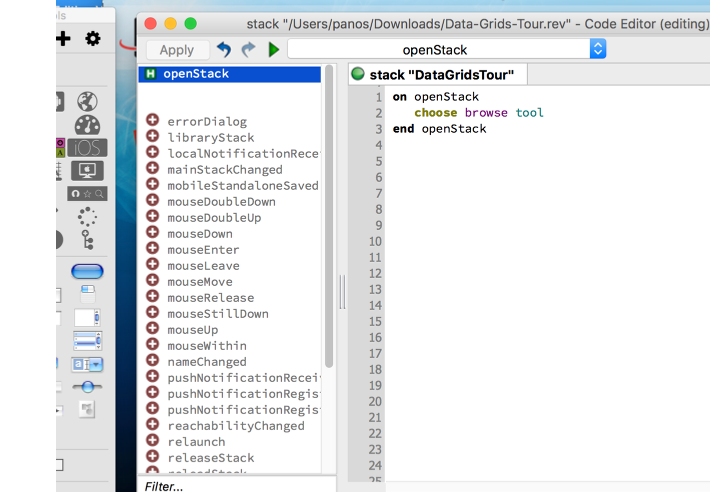 Open the Data Grids Tour in LiveCode and edit the stack script. Note that the on openStack handler is already present. Add the on showStackScriptsAndCustomProperties handler to the stack script. This code iterates through the main stack, substacks, the associated cards and the controls on the cards. At each level it looks for custom properties. This information is collected and then sent to the Message Box. The output from this command is shown above. You can see details for stacks, cards, controls and custom properties. The process outlined in this lesson can be applied to any LiveCode stack for which you would like to find the custom properties.